Review: 2018 Trek Slash 9.7 – it flatters you into thinking you’re a riding god! 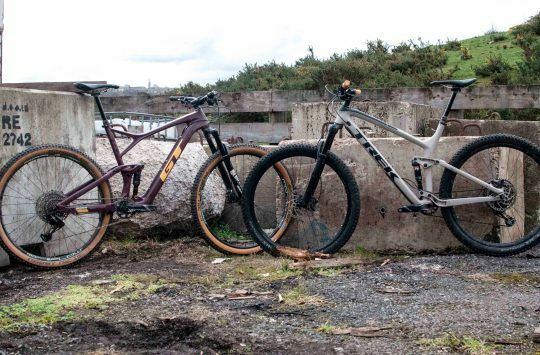 For a big bike like the Slash 9.7, you need big terrain and a rider with big…ambitions. 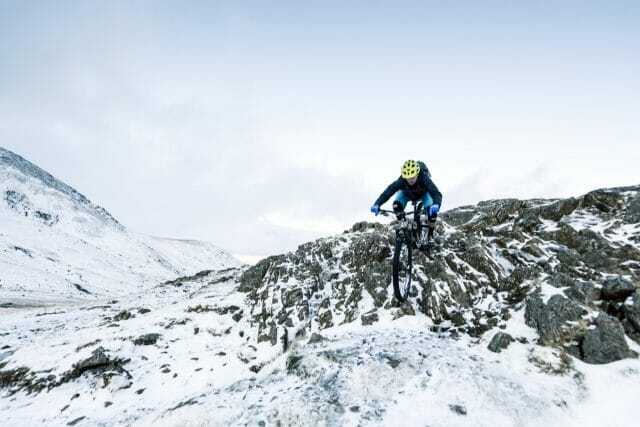 We put the big Trek 29er enduro rig into the hands of James Vincent to see just how hard and how fast he could push it. Understated colour scheme – let the rider do the talking? 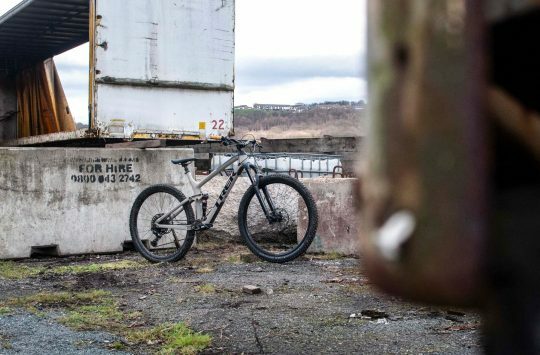 The Trek Slash has been around for a few years now in various guises, first appearing all the way back in 2012 as a long travel 26in wheel winch and plummet machine, before evolving more recently into a 27.5in enduro racer. However, Trek found that the majority of its riders were choosing the shorter travel but bigger wheeled Remedy on race day because it was simply faster. 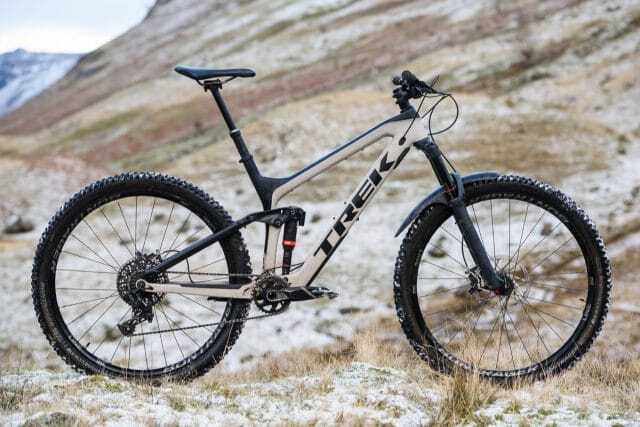 Regardless of where you might stand on the wheel size debate, Trek obviously values the opinion of those it pays to race bikes, so for 2017 the Slash was redesigned around 29in wheels and in 2018 not a great deal has changed. 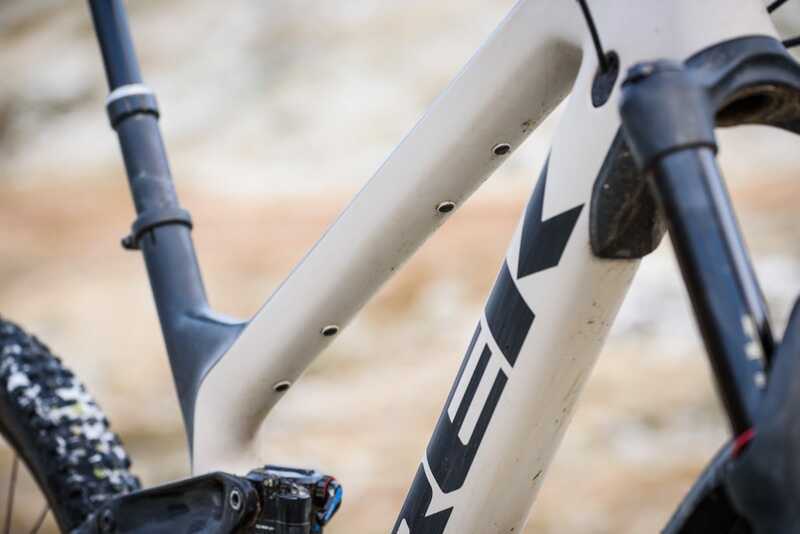 A carbon main frame and aluminium stays, 160mm travel up front and 150mm out back are common to the range, and it’s a pretty simple range too, with just two models to choose from (three if you count the frame only option). 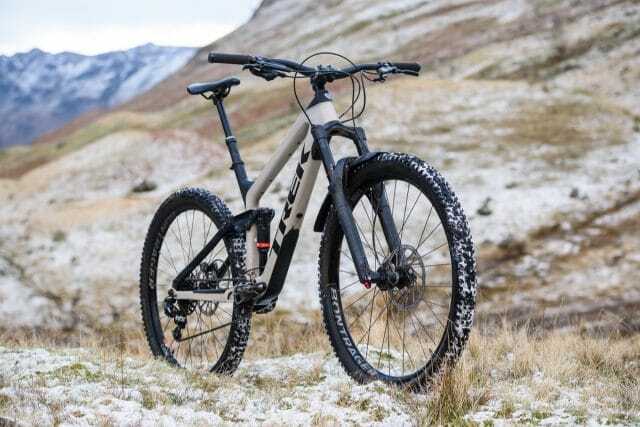 The ‘budget’ Slash 9.7 on test is yours for £3,800, while for an extra £1,000 you can have the Slash 9.8, which gets upgraded forks, wheels, brakes, carbon bars, and a SRAM Eagle drivetrain. This is a good looking bike. Not in a fillet brazed, skinny steel tube sort of way, but in a purposeful, built-to-go-very-quickly-downhill sort of way. The OCLV carbon main frame is almost comical it’s that large; the straight downtube starts off pretty big at the head tube, and by the time it joins the bottom bracket, it’s grown even fatter to swallow the lower shock mount. 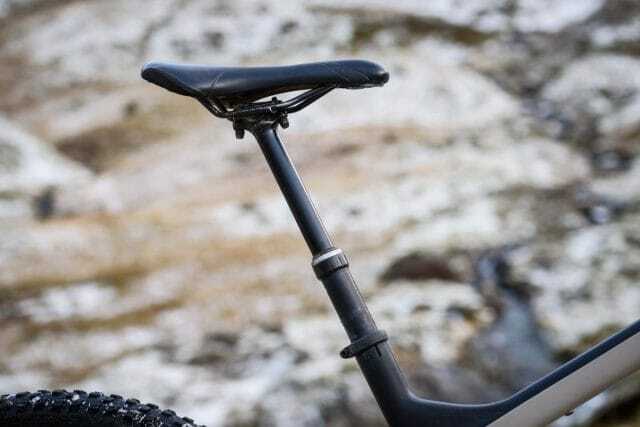 The aluminium chainstays are hydroformed, braced and CNC’d, while the seatstays follow the line of the heavily sloped top tube, all the way to the Active Braking Pivot (ABP). For the Slash and the new Session downhill bike, Trek has redesigned its rear suspension slightly and done away with the Full Floater system – the shock now mounts to the main frame, and not an extension of the chainstay as before. 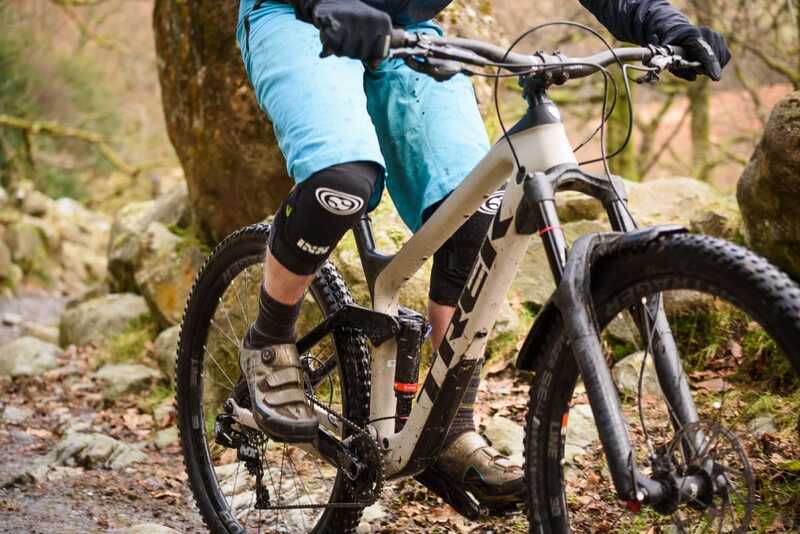 This contributes to the frame having Session-like stiffness, while allowing the use of a longer stroke Metric-sized rear shock. As befits its high speed intentions, the Slash sports a slack 65.6° head angle and a steep 74.1° (effective) seat angle, although the reach is relatively short at 459mm for the size large. But more on this later. The frame features Trek’s Knock Block system, essential to prevent contact between the frame and fork crowns due to the straight downtube – there’s a replaceable stop chip on the frame, which works with a keyed headset top cap to limit the forks rotation, and although the bike comes with custom keyed spacers and stem to keep everything lined up, the system is compatible with aftermarket stems. As is becoming more common the Slash frame is 1x only, and with Boost 148mm spacing there’s room to fit up to a 2.6in tyre out back, which means there’s a ton of mud clearance with the stock 2.4in wide tyres. There are ISCG tabs around the bottom bracket, and the frame is full of lovely little details elsewhere. There are three (yes – three!) sets of water bottle bosses, a neat cable tie system on the downtube to keep the internal routing rattle free, and there’s a large rubber downtube protector at the bottom bracket to cover those inevitable rock strikes. So many water bottle bosses! 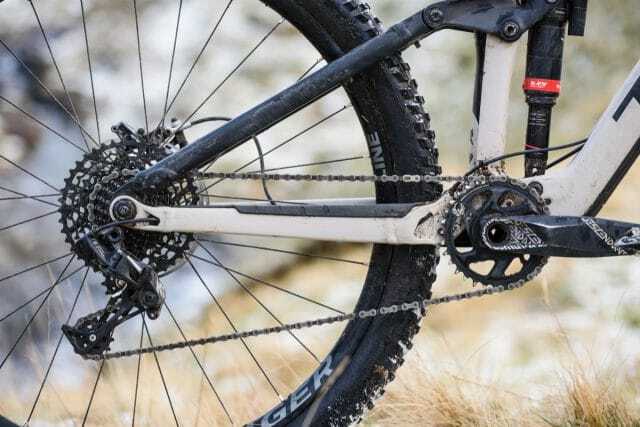 Being the entry-level model in the range, it’s unsurprising that Trek has kitted out the Slash with quite a lot of Bontrager finishing kit. 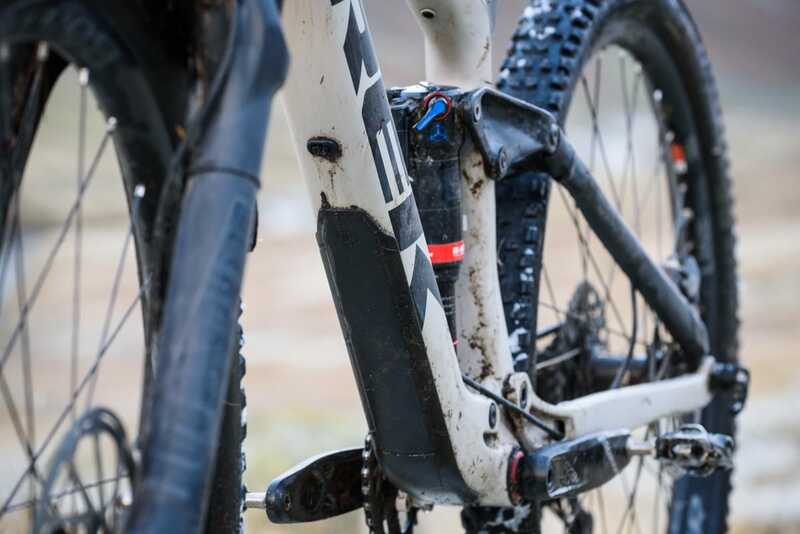 Actually, quite a lot is an understatement – the bars, grips, stem, wheels, tyres, seatpost and saddle are all from Bontrager, with SRAM (and RockShox) taking care of everything else. 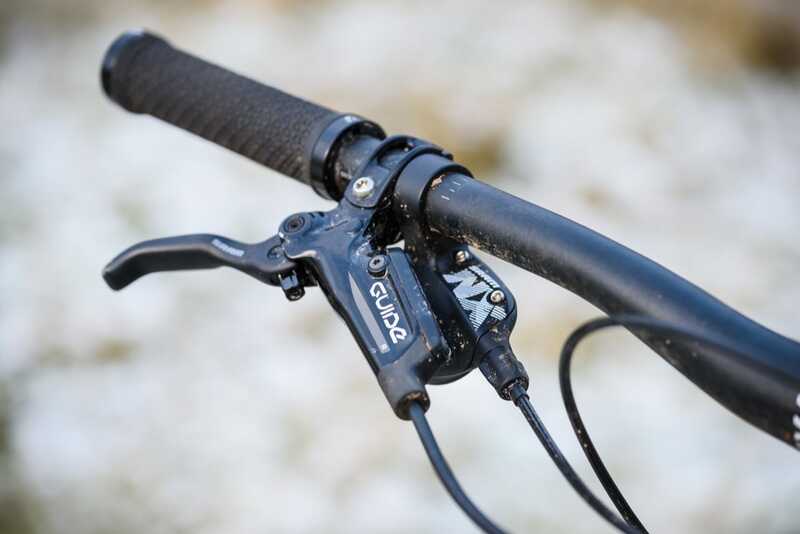 It’s all great kit though – the aluminium bars are a good shape, the lock-on grips and saddle are comfy, and the dropper post worked perfectly throughout the test, with a light lever action and pretty quick post return speed. 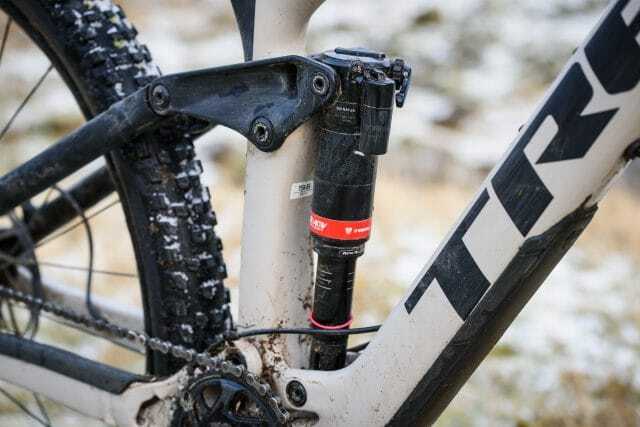 Bontrager has increased travel and updated the sealing and internals on the 2018 Drop Line seatpost, and it seems to have eliminated the issues we experienced with the 2017 version. With its 29mm internal width, the Bontrager Line Comp 30 wheelset comes pre-fitted with Bontrager’s excellent TLR plastic moulded rim strips. 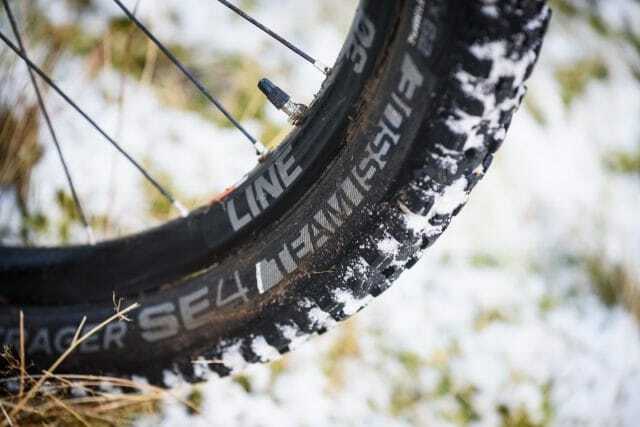 You’ll have to BYO valves, but once fitted, tubeless setup is a doddle. Things were otherwise going great with the wheelset, until the rear wheel went a bit wobbly and needed some work with a spoke key. I also caught a few of errant rocks with the rear rim, which put a couple of dents into the sidewalls, but neither wheel lost any pressure throughout the course of the test. 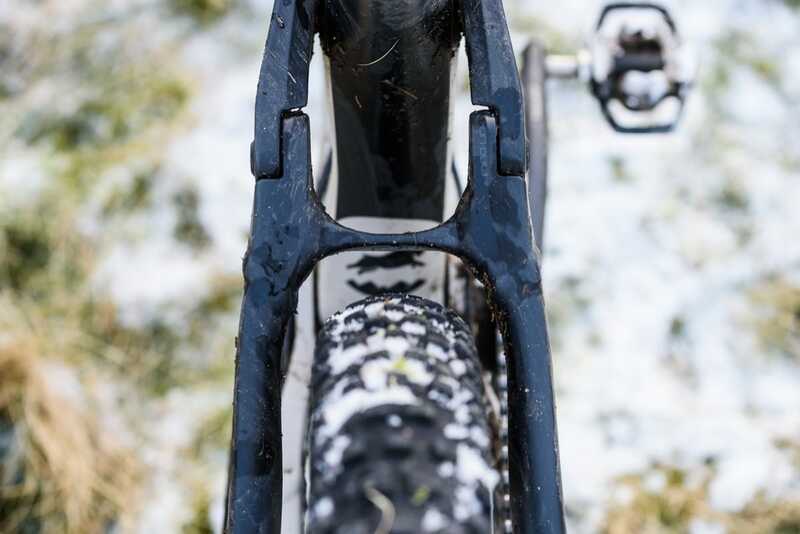 Tyres are the renowned Bontrager SE4 Team Issue in 2.4in flavour, and although they did most things well I’d have preferred that Trek spec’ed the slightly more aggressive SE5 up front, as the SE4 is a bit under-gunned for the type of riding the rest of the bike encourages. 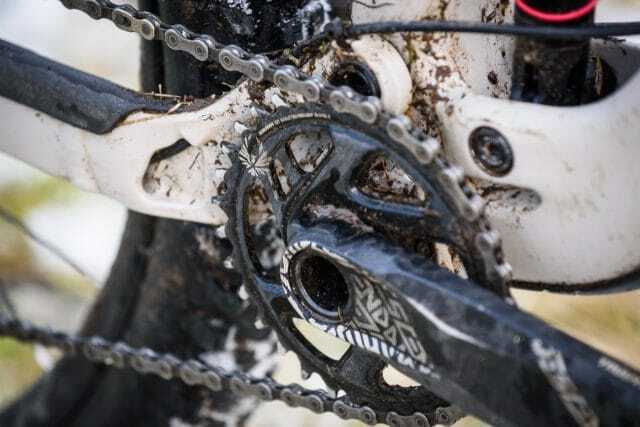 Shifting comes from SRAM’s NX groupset, and there’s not a great deal to say about it, other than it just works very very well. The new X-Sync 2 Eagle chainring didn’t drop the chain once, although for extra security on gnarly terrain it would be a good idea to make use of the ISCG tabs and add a chain guide. Guide Rs were in charge of stopping duties, and while they worked well, I miss the bite point control of the pricier RSC levers – the Rs are more sensitive to pad wear and after a while you’ll begin to notice the long free-throw in the lever. Far from feeling like a budget fork, the Yari is impeccably well behaved and damped. Beautifully stiff, my only complaint is that they’ve got the daft Torque Cap dropouts – I’ve never found front end stiffness to be lacking on a 35mm stanchioned fork, even on a long travel 29er, so while Torque Caps might offer a slight increase in stiffness, they do so at the expense of usability. This was my first time on both an ABP bike and also a RE:aktiv Thru Shaft shock, and if I’m honest, I didn’t notice either of them. Thru Shaft is a new development from Trek, designed to replace the internal floating piston (IFP) found in most other shocks damping circuits. Without going into too much detail (I’m not a suspension guru and don’t pretend to be), there’s a certain amount of lag inherent in a system that uses an IFP, which can lead to a ‘stick-slip’ effect inside the damper when it changes direction of movement. The stickier this sensation, the less responsive the suspension will be. 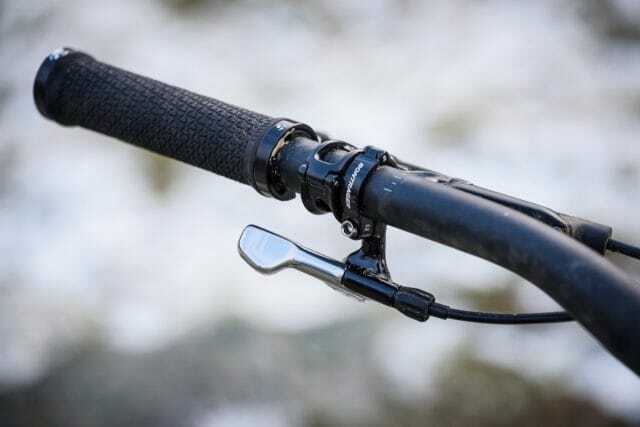 To minimise this stickiness, some brands use an expandable rubber bladder for the IFP, though Trek just decided to do away with the IFP altogether. While non-IFP shock designs have been experimented with before, the materials and design weren’t quite up to it. 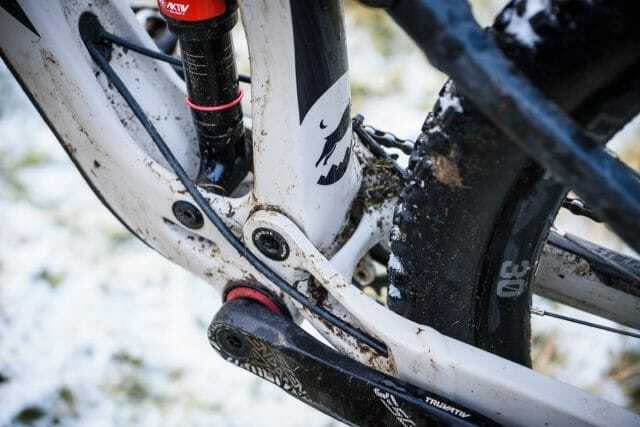 This time round however, Trek has enough confidence in the system to get both Fox and Rockshox onboard. And even though there’s an extra set of seals involved, the shock is tucked well out of the firing line of any muck and grime, and I didn’t have any concerns regarding dirt ingress or wear. Plus, with a stack of oil sat on top of them, those seals aren’t ever going to dry out, unless something goes horribly, horribly wrong. In spite of the wealth of tech hiding inside, the shock is refreshingly easy to set up (just air pressure & rebound), and with the correct sag it supported the rear of the bike so well, I simply forgot about it and went riding. Now as I said before, I’m not going to pretend I fully understand what’s going on inside the shock on this bike, but what I can say is that there was a noticeable lack of stiction during the initial part of the travel, and the shock felt remarkably consistent throughout it’s travel. I’d also love to say that I spent ages tweaking the shock so it rode perfectly on all trails, but I didn’t. Which was awesome. 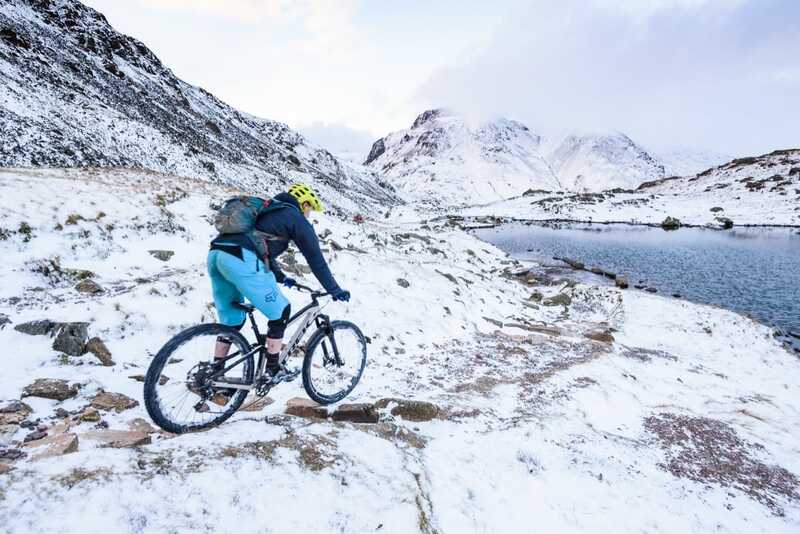 Less time faffing just means more time riding. Once, a friend of mine who is into sports cars invited me to test drive a Jaguar with him. Now as a mountain biker, the cars I’ve owned throughout my life have always cost less than the bikes strapped onto/inside them. So I figured that driving a Jag was going to be a little bit different to my usual ride. Setting off along on an A road seemed normal enough – it was quieter and smoother than any car I’d driven, certainly, but the driving seemed…normal. That was until my friend pointed out I’d probably best reign it in as there’s a national speed limit. I’d not noticed but the car had *ahem* exceeded it somewhat, without fuss, and without me noticing. And so it is with the Slash. Along and down, it nonchalantly uses every bit of gravity to go faster. And faster. And faster again. It’s a very neutral ride, handling all bumps and turns without fuss, leaving you more time to ponder questions such as: “what line shall I choose?”, “shall I launch that lip?”, “is there another lap I can squeeze in”, and “I could not buy it, but then I can’t exactly ride money in the bank can I?”. This bike fits me, and like any great bike that fits, it just disappears and lets me get on with riding as fast as possible. 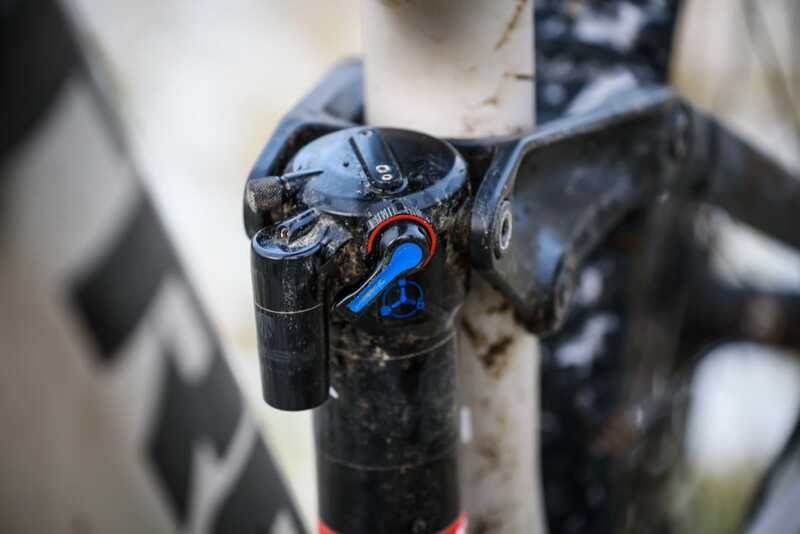 Sure, it won’t pedal itself uphill, but climbing is no chore, and if your climbing style is a bit more erratic, then the compression switch on the shock does an admirable job of keeping pedal bob in check. How does it do this you might ask? Well, while some of the more chic brands out there think the only way to be fast is to go longer, slacker, and lower than everything else, other brands focus on delivering a ride that is balanced and comfortable at speeds below supersonic. Trek’s designers however, have looked at those two points and put the Slash smack-bang in the middle. 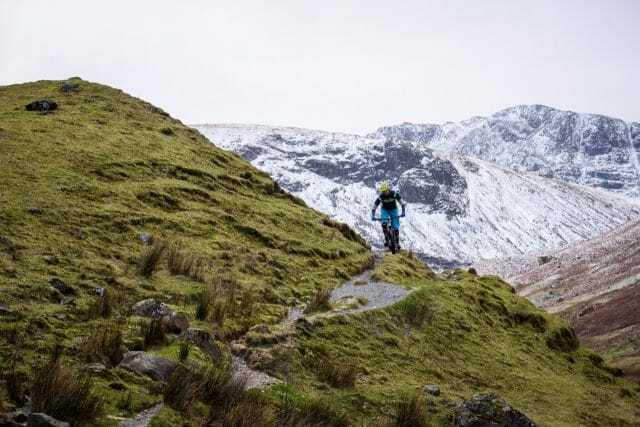 Don’t get me wrong – it isn’t a short bike, nor is it particularly steep or high. It just doesn’t feel extreme. As I said earlier, it’s an incredibly neutral feeling bike that’s just as happy pulling off slow speed techy manoeuvres, as it is blatting out high-speed runs through ugly rock fests. 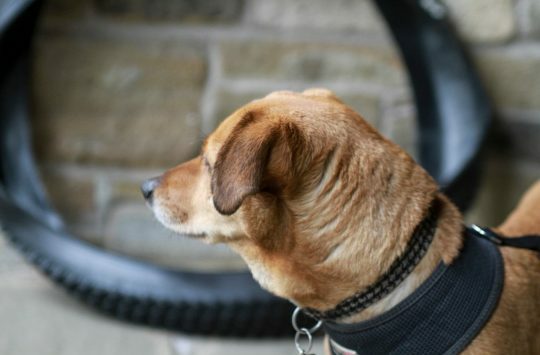 By putting you into such a neutral position, the bike passes control back to you. It does encourage you to go as fast as you feel comfortable (and by ‘eck it’s bloody rapid if you want it to be!). But you’re the pilot, and it never feels like you’re just a passenger being towed along by the handlebar. 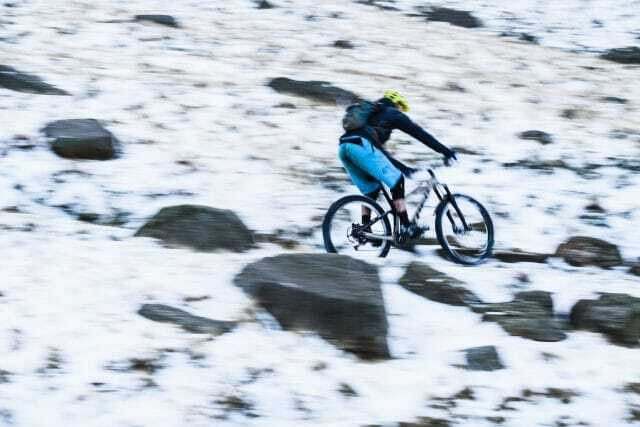 On steep, tight and slow speed hairpins, the Slash is perfectly happy inching its way round and picking the necessary lines, and in these situations I never once found the Knock Block to be an obstruction to getting round even the tightest of corners. But let go of the brakes and it picks up speed at the snap of your fingers, coming alive and going as fast as you dare. When it comes to pedalling back up the trail, the Slash is pretty efficient too. Only when sprinting out of the saddle did I reach down to change the shock platform, leaving it wide open the rest of the time for increased comfort and traction. With its hefty weight though, it is very much a steady plodder than an eager beaver. 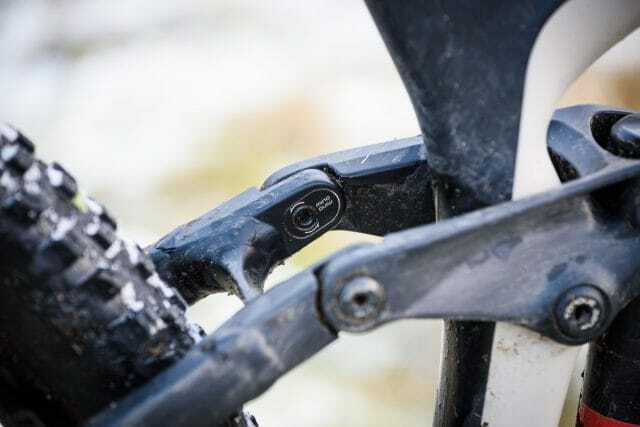 While on the subject of climbing, the Slash features Trek’s Mino link, which allows you to subtly alter the geometry by flipping a chip in the rearward pivot on the rocker link. 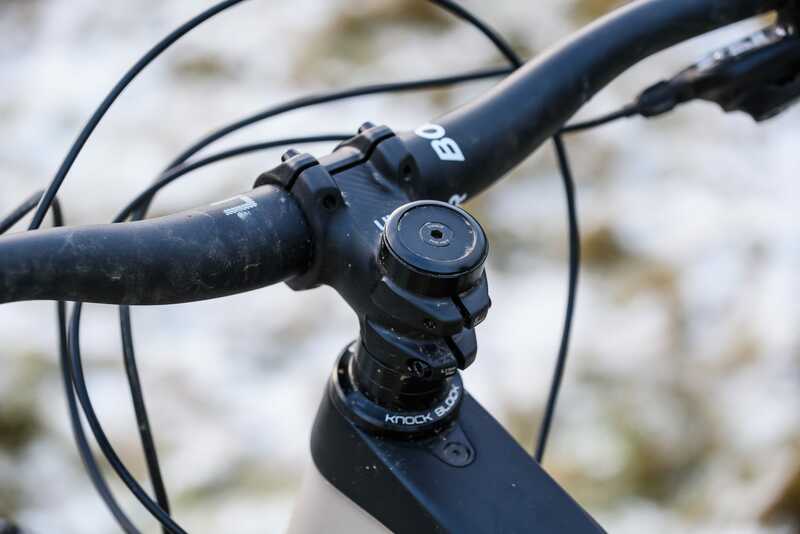 Flipping the Mino Link steepens the head angle (from 65.1° to 65.6°) and lifts the bottom bracket height by 10mm to improve your position for climbing while providing more ground clearance too. The bike arrives from the shop in the low and slack position. Although I briefly flipped the Mino Link into the steeper/higher position to try it out, I personally felt that the Slash climbed perfectly well in the lower position. The steering was never vague, or wandery in the lower/slacker position and I never encountered any pedal strikes, nor did I catch the chainring on any rocks. So after that brief test, I flipped the Mino Link back into the slack and low position for the remainder of the test, to reap all the benefits. On the whole, the bike has been noise and trouble free for the duration of the test. The only issues I’ve found (aside from the aforementioned rear wheel wobble), are that paint has started to wear away on the non driveside chainstay where the brake cable passes by, and that the wide rear ABP thru-axle lever sticks out quite a bit and is prone to rock strikes on narrow passages. Some of the components are a bit low rent – while the bike is amazing, there’s no denying that a £250 wheelset is a bit out of place on a £3,800 bike. For the type of riding the bike encourages, it would benefit from a more aggressive front tyre. 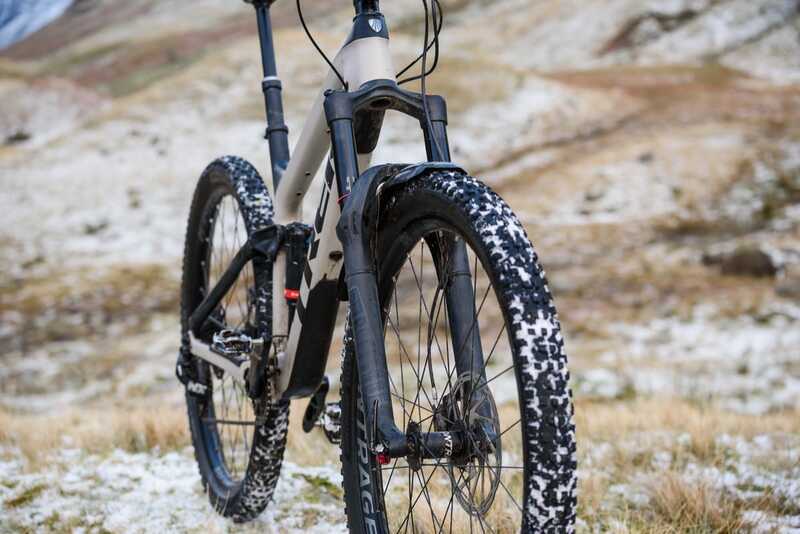 In spite of the budget components, as a complete package it is a very capable bike indeed, which goes some way towards helping you overlook some of the component choices. …and flatters you into thinking you’re a riding god! A slight on the side question! How did you get on with the front mudguard? Being of the longer and fuller coverage type. I have just fitted one to my Pine mountain plus, but haven’t been out riding ( in the SE gloop) yet!